Majority of us here at COT Warlords are veteran gamers. We’ve been playing for a long time now. First game that I played was Super Mario 3 on Super Nintendo, back in the 90s. Back then there weren’t that many games to chose from. Today you’re basically just hording games, instead of playing them (damn you humblebundle). One game that we have to mention however is Divinity: Original Sin. Let me just clarify, when I say Divinity: Original Sin, I’m talking about the original game released in 2014, not the sequel that was released last year. Even though the sequel is equally as fun. Developers did a great job on the Divinity: Original Sin 2, kudos to them. Original Original Sin, heh, get it? I’ll show myself out… Anyway, the original game follows adventures of two main heroes. An imprisoned warrior that gets released and a mysterious woman that joins him on his travels. Game actually features a very interactive world, with easy to follow combat system and a built-in modding. What else could you ask for. Everyone here at COT Warlords has played this game. It’s a must really if you want to join. 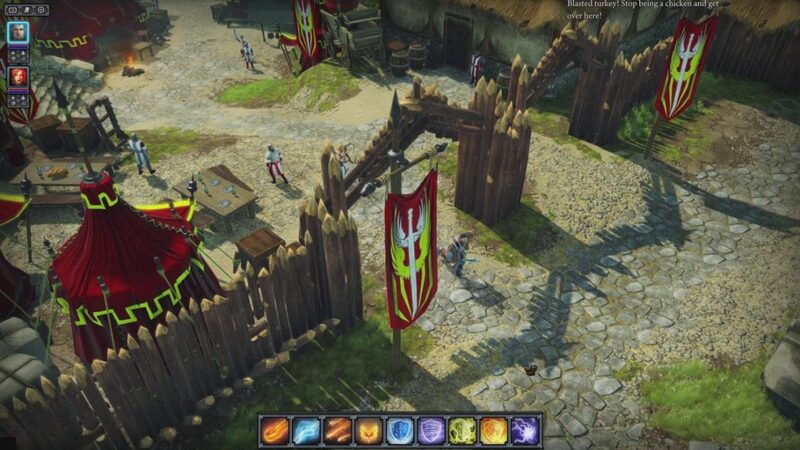 Anyway, if you’re looking for a good role playing game, then try Divinity: Original Sin.